The local Congress leaders have voiced their opposition against the party’s likely prospect of fielding “outsiders”in the two prestigious Lok Sabha constituencies of Phulpur and Allahabad. While sources maintained that the “opposition” had to do with some vested interests at the local level, party spokesperson Dwijendra Tripathi said efforts were being made to understand the reason behind such activities. “We are trying to understand what is the opposition about and who is behind all this,” said Tripathi. 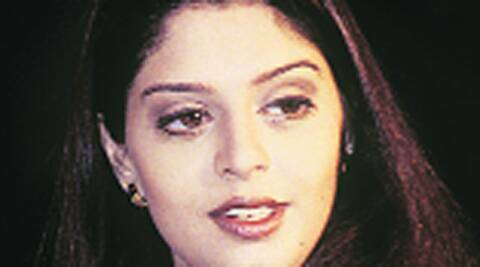 It all started after frequent reports began doing the rounds in the media that Congress was considering the name of actress-turned-politician Nagma from Phulpur and Anil Shastri, grandson of Lal Bahadur Shastri, from Allahabad. At least 10 members of the district Congress committee have e-mailed their grouse to Congress vice-President Rahul Gandhi and other top office-bearers seeking a candidate from within the existing pool of leaders in Allahabad and Phulpur. On the other hand, a group of young leaders, who have been the problem for Congress in so far as local politics is concerned, claimed to have written letters in blood to Congress top leadership seeking a local candidate. However, Haseeb Ahmed, a secretary in the city Congress committee, along with another local leader, Shrish Chandra Dubey, Thursday claimed to have written letters in blood demanding ‘Abhineta nahin, neta chahiye (we don’t want actor, we want a leader).’ They are also planning a hunger strike from March 10. “Our point is clear. We want candidates from the local pool of leaders. We don’t want imported leaders. None of the two names doing the rounds has any connection with Allahabad. They will make some promises, may even win, but people suffer in the long run,” said Ahmed. Ahmed and his group had faced flak for putting up posters in August 2013 in which it was demanded that Priyanka Gandhi be declared candidate from Phulpur. They were suspended but later re-instated. Both the groups that are protesting claimed their opposition is based on the announcement made by Rahul that candidates would be chosen after taking the view from the grassroots level. Congress had devised the system of primaries, which, however, was implemented in only two seats in UP. “The people behind such moves want to bag a party ticket and play in the hands of the main opposition party as Congress’ dummy candidates. Those claiming to be leaders with local roots themselves have come from other parties. Many have not contested elections and a few, who did, lost their deposits,” said a senior Congress functionary at the district level. After the 1984 wave, Congress has not been able to wrest the two seats. Pandit Jawaharlal Nehru, Lal Bahadur Shastri and Indira Gandhi, have represented Phulpur. Amitabh Bachchan was the last to win on Congress ticket from Allahabad in 1984.